Here’s the story of one of my more interesting trips to the local bike shop. What’s one of yours? Whenever I head into a local bike shop, I try to find a salesman I haven’t talked with before and ask what gear is moving well. His answer gives me a sense for what customers are looking for or what the shop is promoting or what the salesman is really excited about – all good to know. A couple weeks back, I started a discussion like this with a mid to late 20-year-old guy (I’ll call him Dude for reasons that will become clear in a moment) at one of my favorite cycling stores in the Boston area. This shop is one of 4 or 5 in a family owned chain and serves a broad range of customers from serious racers to occasional riders to kids getting their first bikes. Since I had recently completed comprehensive reviews of all-around wheelsets and top-tier groupsets, after asking my first question about what was moving well, I asked Dude what he liked in these two categories. Dude told me that he had personally switched this season from Zipp 404 Firecrests to Bontrager Aeolus 5 D3s. While he was no taller than me (5’ 10”), he told me he was a big guy and needed the extra stiffness the 5s gave him. OK, I thought to myself. While he’s younger, stronger and perhaps an extra 15 pounds of mostly muscle heavier than my 150, I wouldn’t consider him ‘big’ but I’ll go with it. I also thought the 404s were plenty stiff and the 5s were much the same but, hey, I was in the shop to listen and learn. Maybe he’s a hot racer and can tell a stiffness difference between the two that I can’t. Rather than be amazed (or repulsed) by such an admission, I actually found him quite refreshing and entertaining. Here was a guy who knew himself, who comfortably admitted to his snobbery and who didn’t miss a beat telling customers what gear he thought about different gear. Instead of running for the exits with my hand firm holding my wallet, we talked a bit more, I thanked him and finally left. Don’t know that I’d ever buy anything from a self-proclaimed bike snob, but I did rather enjoy this trip to my local bike shop more than most. 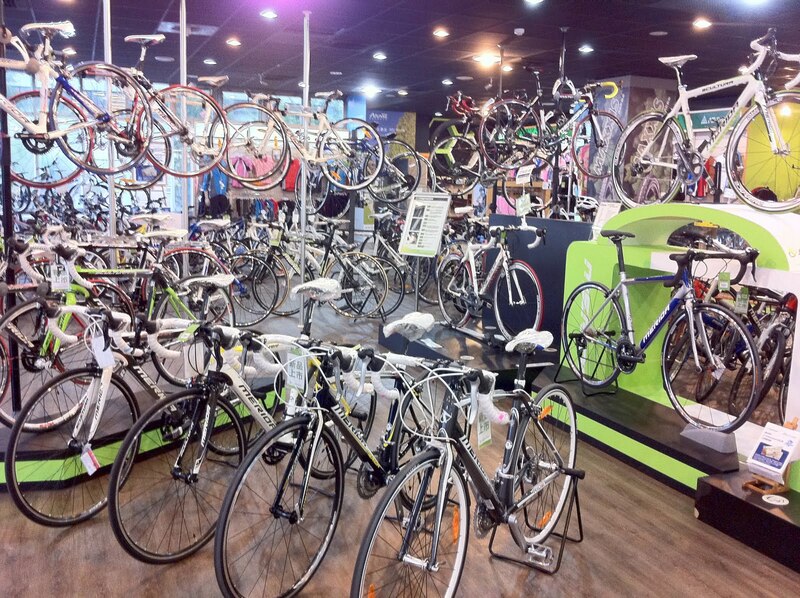 What was one of your more memorable experiences in a bike shop? We have a shop in Vancouver with young dudes like this. I never buy anything at the shop.